Taking on a trip to Guadalupe or El Salvador? If you’re coming from Ontario, Canada and you’re planning to fly within distances of the mentioned locations, the Learjet 35A can take you there. This plane has a practical combination of convenience and comfort. With its features, you can either rest up throughout the flight or prepare your work-related documents with views of the skies on the background. The Learjet 35A also allows for a maximum of 8 passengers per ride, as it has an above average cruising speed. Compared to other small jets, the aircraft also has a spacious luggage capacity. This is quite handy especially if you’re travelling for a vacation. When you’re going for a business trip and you’ll bring the related materials of your transactions, this plane’s capacity can also accommodate for these items. Know more about the specifications of the Learjet 35A, so you can enjoy its luxurious amenities soon. A look through the Learjet 35A’s interiors can serve as your guide in gauging how much comfort and convenience you’ll experience on your next trip. This plane’s cabin has comfy seats which can be reclined, along with their corresponding side, in-flight features. A standard seat will have cup holders along with pull out tables, so you can enjoy your meals or refreshments throughout the flight. The same tables may also be used for your laptop. This way, you can continue working and be on top of your projects throughout your 2 to 3 hour flight. 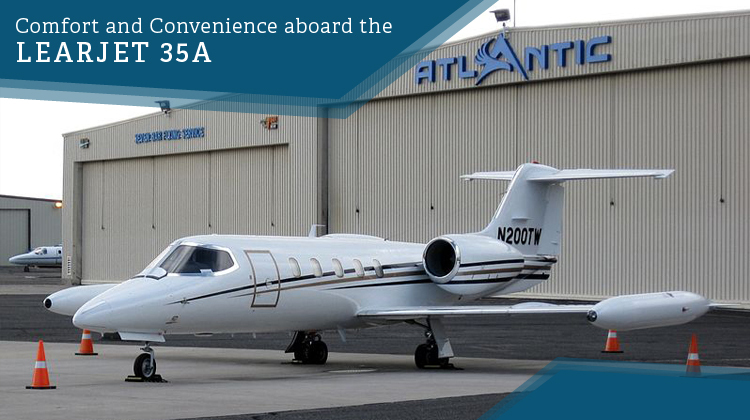 With its wide range, the Learjet 35A can take you to long distances within just a few hours. The same plane is either powered by two Williams or Rolls-Royce engines. This aircraft also offers a steady ride so you can stay cozy all throughout your trip. Ensure a balance of your target destination, schedule of arrival and passenger-luggage load. This can be done by agreeing on a set of terms with your chartered plane. Keep in mind you can fly farther and fastest with a lighter load. Hence it’s best to finalize the number of passengers you’ll ride with, plus the weight of luggage you’ll bring throughout the trip. At a maximum capacity, the Learjet 35A can accommodate 4 passengers, 2 flight attendants and 2 pilots. 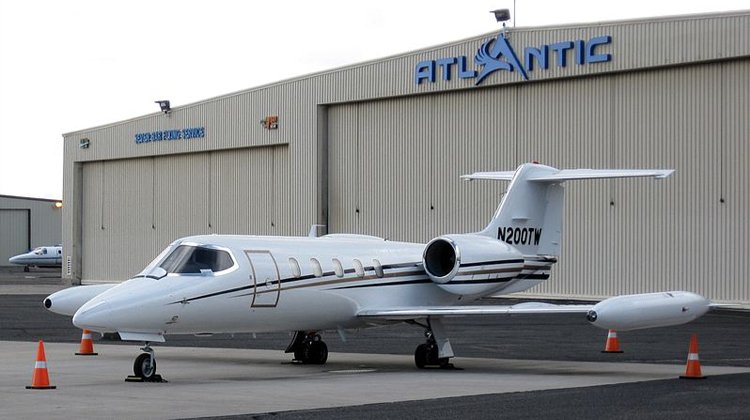 Since its first flight in 1973, the Learjet 35 has roughly 738 units produced and being flown around the globe. The Learjet 35A is particularly an upgraded model of the 35 with improved engines and an increased range. Did you know this very model has been flown all around the world? Over a dozen countries even have the Learjet 35A as part of their military fleet. This can be telling of how efficient the jet can get. Its other variants were developed to fit specific applications, whether civilian or military.